CASTRIES, St. Lucia, Apr 14, CMC – The St. Lucia government has defended the multi-billion dollar “ “Pearl of the Caribbean” project as “one of the most adventurous and ambitious projects in the Caribbean” even as environmental groups intensified their lobbying claiming that the project “would mean certain extinction for some of the country’s most valuable wildlife”. A statement from the Office of the Prime Minister defended the US$2.6 billion project being undertaken by the Hong Kong-based Desert Star Holdings (DSH), saying it is poised to make St. Lucia “an even more unique destination and create economic activity as never before seen in the south of the island”. The Allen Chastanet government has said that the DHS project will result in a mixed-use real estate development enterprise involving, inter-alia, entertainment and sporting facilities, as a third category under the real estate provisions of the Citizenship by Investment Programme (CIP) legislation. It said it would also encompass a project that meets the basic stipulation but entails: a horse racing track, high-end hotel and residences, a casino, free trade zone, an equine diseases free zone, and a marina. 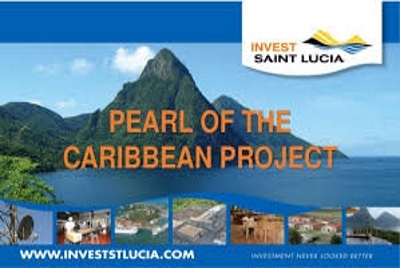 “In pursuance of this project the Government of St. Lucia and the Master Developer, Desert Star Holdings Caribbean Limited (DSH), are committed to operating within the laws of Saint Lucia and the project will be subject, as in all cases, to the requisite Environmental Impact Assessments (EIAs) and the approval of the Development Control Authority (DCA). “The Government is also committed to undertaking the necessary studies, protecting and conserving the natural landscape of St. Lucia and in particular the wildlife and marine life on Maria Islands. Contrary to some reports, the project is intended to enhance St. Lucia’s natural assets, and is sensitive to the principles of sustainable development which includes biodiversity preservation, environmental protection and respect for the eco-system,” the government statement noted. “There will never be peace in Vieux Fort and St. Lucia if the controversial Desert Star Holdings Limited deal is not renegotiated and the project redesigned. “If this agreement is not renegotiated, if this agreement is not redesigned, if all the offensive provisions in that agreement are not removed then I say to you tonight, there will never ever be peace in this community and in this country,” Anthony said. A group of people had last December staged a protest outside the Parliament and environmental groups here and abroad claim that the project poses a serious threat to the island’s ecological, cultural and archaeological heritage. “Most alarming of all is the proposal to build a causeway linking the Maria Islands to the mainland, a move that would have calamitous consequences for this offshore wildlife haven, which is officially a protected area,” they said in a statement. They said that Maria Islands Nature Reserve, one of only two Wildlife Reserves on St. Lucia, is home to critical populations of six endemic St. Lucian reptile species, including the world’s rarest snake – the St. Lucia racer – which is found only on the island of Maria Major, and 90 per cent of all remaining Saint Lucia whiptail lizards. “We will do all in our power to ensure that these priceless and fragile assets are protected for the benefit of every Saint Lucian and for future generations. We call on all Saint Lucians who genuinely care about our heritage to support us in our conservation work and to ensure that Maria Islands and the Pointe Sable Environmental Protection Area are not destroyed,” the statement by the environmentalists quoted Bishnu Tulsie, Director of St. Lucia National Trust as saying. Senior Conservation Biologist at Fauna & Flora International, Dr Jenny Daltry, said “St. Lucia has long been respected as a leading light in conservation and sustainable development for its many great achievements, such as bringing the Saint Lucia parrot back from the brink of extinction”. In its statement, the government said that following the unveiling of the second phase of the multi-billion dollar project it has welcomed “the ongoing discussion on the project in the public domain and hopes that the debate will continue in a manner where we can share concerns and ideas in a constructive way which does not harm our country’s image”. It said several feasibility studies and tests will be done with renowned reclamation and environmental experts and that the government “remains open to receiving concerns from local and foreign agencies associated with the project. “The Government has along every step of the way shared information with the St. Lucian public on the status of the different phases of the project,” it said, adding that based on the developer’s “well-respected track record the Government is convinced and the developer has committed to using the most up to date Environmental Protocols and innovation to facilitate the causeway and ensure it does not harm the current environment. “St. Lucia also has laws and rules which govern proposed developments which must be adhered to,” it said, adding that “the Government and the developer will work with various agencies to do detailed research on all the existing wildlife and marine life around and on the islands”. The Chastanet government said that St. Lucians would not be prevented from entering the beaches in the area where the project is being undertaken.